Experience the romance of life a hundred years ago in our little pioneer cottage. 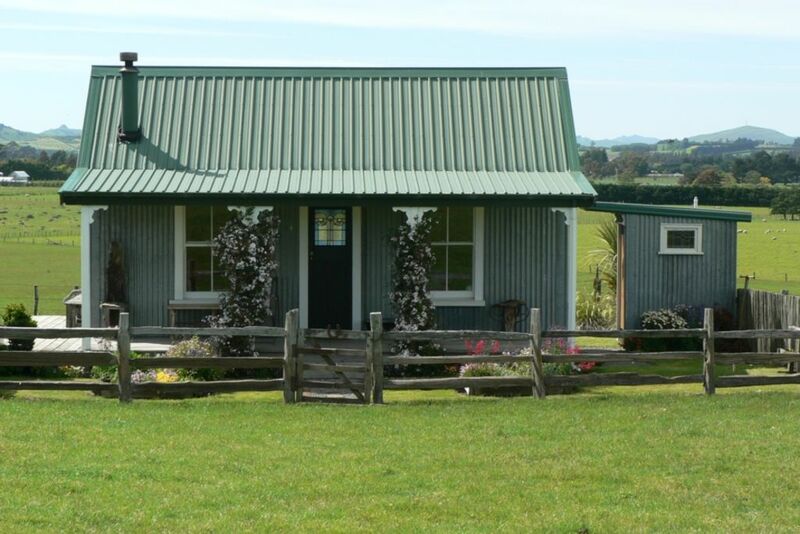 Just 8km from Masterton, the cottage sits overlooking our private lagoon and the workings of our sheep and beef farm. In summer the lagoon dries up but there are still the 360 degree views of the mountains, hills and Wairarapa plains. Built entirely of recycled materials the cottage is now home to many precious heirlooms gifted by family and friends, beginning with its beautiful stain glass front door. No television or microwave but you have the convenience of a gas hob and latterns. The cottage is very cosy and warmed in winter by a little pot belly. The flush loo and the bath under the stars are both one step off the deck. The icebox will cool your wine for a drink on the verandah and if you don't wish to cook dinner on your night away then it's a short drive into town where there is a rich array of restaurants. Upon deposit I will email you an information sheet with driving directions. Two night stays are preferred. A great place to get way from it all. The accommodation was all that we could have hoped for and very well looked after. It was lovely gazing up to the Milky Way in the outside bath! Even better than it seems from advert. Like stepping back in time. Quaint, quirky and perfect for a break away - just wish we had had longer. Thanks so much for leaving my cottage so neat and tidy, I hope you can come again one day soon. Away from it all without being too far away from it all! What a quaint place to stay. Clearly a lot of love has gone into the furnishing of this place. The bed was the comfiest I have slept on in a while!! Really felt like we’d stepped into a time machine. Thanks for having us. A lovely little step back in time, very relaxing and peaceful.